I have been meaning to blog on this for some time... but time to blog has been an issue... so better late than never! ARLINGTON, Va. – Employer Support of the Guard and Reserve, a Department of Defense agency, has opened the nomination season for the 2009 Secretary of Defense Employer Support Freedom Award. National Guard and Reserve members and their families are eligible and encouraged to nominate employers who have gone above and beyond in their support of military employees. 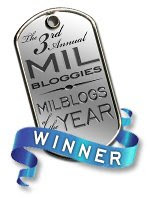 Nominations will be accepted at www.FreedomAward.mil from November 3, 2008 to January 19, 2009. The Secretary of Defense Employer Support Freedom Award is the highest recognition given by the U.S. Government to employers for their outstanding support of their employees who serve in the National Guard and Reserve. The 2009 recipients will be announced in the spring and honored in Washington, D.C. at the 14th annual Secretary of Defense Employer Support Freedom Award ceremony September 17, 2009. Recipients of the 2008 Freedom Award met with President George W. Bush and Deputy Secretary of Defense Gordon England. Under Secretary of Defense for Personnel and Readiness, Dr. David Chu presented the awards at a ceremony attended by members of Congress and senior government and military officials. Almost one-half of the U.S. military is comprised of the National Guard and Reserve. The Department of Defense shares these citizen warriors with their civilian employers, many of whom provide significant support to their employees who serve in the National Guard and Reserve. 2008 honorees ranged from a small family owned transportation business in Utah to large businesses including Chrysler and Dominion Resources to the City of Austin, Texas, a public sector employer. Past recipients of the Freedom Award have provided full salary, continuation of benefits, care packages and even family support to employees fulfilling their military obligation. The Freedom Award was instituted in 1996 under the auspices of the National Committee for Employer Support of the Guard and Reserve (ESGR) to recognize exceptional support from the employer community. ESGR is a Department of Defense agency established in 1972. Its mission is to gain and maintain employer support for Guard and Reserve service by recognizing outstanding support, increasing awareness of the law and resolving conflicts through mediation. 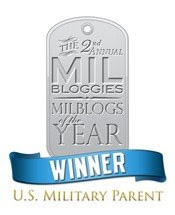 For questions regarding the Freedom Award nomination process, please visit www.FreedomAward.mil or contact Beth Sherman, ESGR Public Affairs, at 703-380-9717.